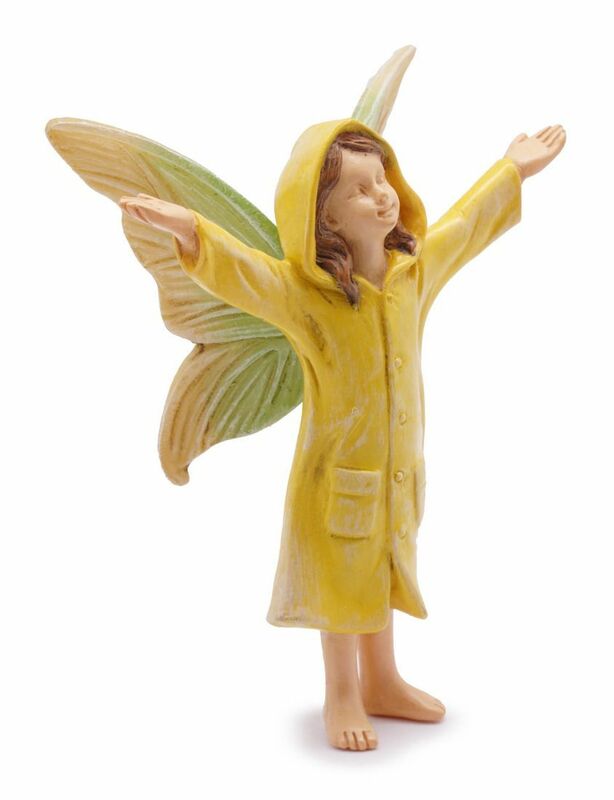 Woodland Knoll Rainy Day Fairy. April showers wont stop this pretty fairy having fun! In her new bright yellow rainmac she is out and about jumping in the puddles and have a great time in warm spring rain. Her large wings are a pretty pail lemon and green colour and she has beautiful long brown hair.